Built from the ground up, Engine Prime is music analysis and management software for optimizing your music library, file navigation, and playback experience on Denon DJ's SC5000 Prime media players. This article will answer some frequently asked questions about the features and functionality of the Denon DJ Engine Prime music management software. Where can I download Engine Prime? What are the system requirements for Engine Prime? What are some of the new features in the Engine Prime v1.2 release? Is an Engine Prime v1.2 database backward compatible with Engine Prime v1.1.1? Does Engine Prime support 32-bit Windows? What types of media should I use? How much free hard drive space do I need? Is Engine Prime an update to the original Engine 1.5 software? Is there a feature overview available to help me get started? Why do remote drives and songs also show up in the main collection? Can Engine Prime read my Serato and iTunes databases? Why can’t I drag files or folders from Windows Explorer to Engine Prime? Does Engine Prime support beat grid and tempo editing? I enabled iTunes in the preferences and clicked Update iTunes Library but nothing happened. What's wrong? My Dubstep collection is incorrectly analyzing at 70 BPM / My Dubstep collection is incorrectly analyzing at 140 BPM. Why can’t I add songs from read-only media to my collection? Why is the ASIO driver for my audio interface unavailable in Engine Prime? Why does Engine Prime request control of accessibility features after installation? 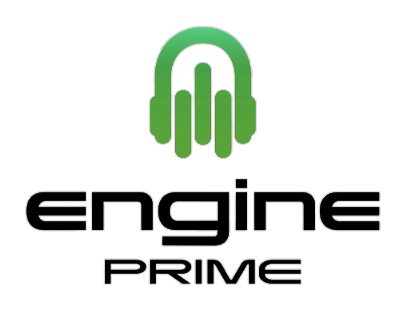 Engine Prime is a new iteration of the revolutionary Engine DJ software. This is a music analysis and management software for optimizing your music library, file navigation, and playback experience on the Denon DJ SC5000 prime media players. Engine Prime was built from the ground up to improve on the success of its predecessor while adding tons of new features such as personalized user profiles that store preferences like screen brightness, sync settings, pictures or logos for the center display, and much more. Traktor Playlists and Songs, including Loops and Cue Points, can now be imported into Engine Prime via exported Traktor NML file. Playlists can now be added to folders. Added 98 - 195 BPM analysis range. Serato Playlists can now be dragged to Engine Prime Crates/Playlists areas. Dragging a crate to the same crate on a remote drive now adds the content to the remote crate. Downbeat Detection algorithm is improved. Playlists and History lists are now exportable as M3U, CSV or JSON files. FLAC and Ogg files now show album artwork. All tracks already in the collection must have album artwork added by selecting “Re-import track information." For a complete list of other improvements and changes, please refer to the release notes documentation included with the v1.2 update. Engine Prime 1.2 is not backward compatible with Engine Prime 1.1.1. Switching back to 1.1.1 may cause undesired behavior and loss of collection integrity. We recommend making a backup copy of the Music/Engine Library folder as an extra safety precaution before upgrading. Engine Prime currently only officially supports Windows 8 and Windows 10, which are almost exclusively 64-bit. Because of this, we are currently only supporting 64-bit Windows platforms. When choosing a portable USB drive or SD card for your system, we recommend using drives from reputable media brands whenever possible. SD cards must be Class 6 (c6) or faster. USB drives should have similar performance specs (at least 20MB/s read / 6 MB/s write speed). The faster the media, the faster tracks can load. Slower drives may result in lags when navigating through the collection and longer load times. For a helpful comparison between all of the popular drives on the market, and a free test to check the stability of your own drive, check out the site: UserBenchmark.com. This will allow you to sort drives by several different parameters like capacity, price, read speed, write speed, etc. Keep in mind that better Peak Read MB/s ratings will be more important for efficient media playback, like playing music through the SC5000. This becomes even more important when a single drive is used to access songs for multiple layers or SC500 players simultaneously. How much free space is required depends on the size of your music collection. Keep in mind, the grid and waveform data require additional storage space. This is approximately 200 Mb per 1000 songs, but this can vary greatly depending on the length of tracks in the collection. Engine Prime is a completely separate version of the Engine software, not a subsequent version of the original Engine 1.5. While the first iteration of Engine Prime is not compatible with the MCX8000, forthcoming versions will allow users to save libraries in an MCX8000 compatible format. All MCX8000 users should continue to use Engine 1.5 until a compatible Engine Prime update is released. The Main Collection is a complete list of all connected media, both remote and local. This allows for all of your songs on either connected hard drives or internal storage to be used interchangeably, making it easy to find your track regardless of where the file is stored. Because of this, duplicate entries may appear in the main collection if a song is located in both the main collection and a removable drive. Songs are not physically duplicated on the drive, the main collection is simply reporting the song in multiple databases. Removable drives can still be moved from one computer to another and have their crate structures retained, and any song in the main collection can be dragged to the Engine player for playback and editing at any time. We realize that this is a departure from more traditional workflows and are working on an option to separate collection drives with remote drives in a more clear manner. Yes! Engine Prime will read and import existing Serato databases and crates, as well as your iTunes library. Use the Library tab in the Engine Prime Settings to toggle the Serato and iTunes libraries on and off. Yes, one of the great new features of Engine Prime is the built-in beat grid and tempo editor. This is most likely due to running Engine Prime “as administrator.” Please make sure Run As Administrator is disabled in the advanced application preferences and try opening Engine Prime again. This may happen when Windows (and therefore Engine Prime) detects an external drive as an internal drive. This can happen if an internal SATA drive is placed in a 3rd party USB enclosure. We do not support these drives and recommend you do not use them, as Windows is unable to safely eject the drives. Check off the box for Share iTunes Library XML with other applications. Click OK to save and exit the preferences. In Engine, select the iTunes tab and click Update iTunes Library. The analysis BPM range can be customized in the library tab of the preferences to cater to various music genres and BPMs. Engine Prime creates and stores the database on the same drive(s) that store the tracks. This means that drives/media must have write access enabled to work with Engine Prime. Typical read-only situations include locked SD cards, CDs or other ROM media, and 12” Vinyl Discs. Engine Prime does not support ASIO as of Engine Prime v1.1. Windows users, please use the Windows WASAPI versions of your desired audio interface drivers to continue. This is normal. Please follow the on-screen instructions to allow access and Engine Prime will function correctly. Whether you are a customer or dealer, if you already own a Denon DJ product, or if you just have pre-sales questions, the Denon DJ technical support team is available to help!